Our wetsuits are 5mm thick and super warm – we clean all our wetsuits with special eco cleaner after every use, fresh for when you put them on! €39.95 for a 3 hour activity – an experience you’ll never forget! Discounts available for groups – just ask! 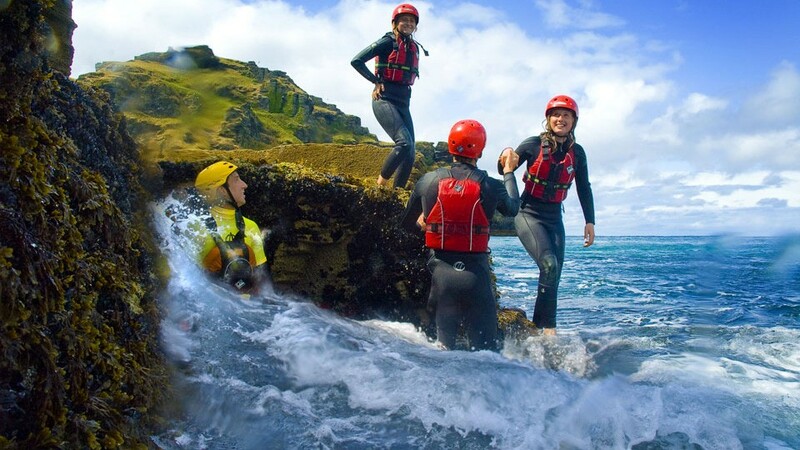 Coasteering Hook Head and along the Hook Peninsula with the Irish Experience it an experience to get excited about! Experience the thrill of jumping off these ancient limestone slabs into deep blue waters, swimming through caves and scrambling over rocks, along with the stunning scenery.